New players, who are registering through casinofreebieblog.com in Go Wild Casino are eligible for 10 free spins on Dragonz Slot game, no deposit required and 500 free loyalty points + 100% first deposit bonus, up to $200 free. This no deposit bonus offer is valid on mobile devices too. The restricted countries are Belgium, Denmark, France&Territories, Greece, Italy, Israel, Malta, Romania, Spain, Singapore, Serbia, South Africa, USA& Territories, United Kingdom. Mobile Casino: yes available, play on your phone or Tablet and you are eligible for the $1000 welcome package bonus on your deposits. 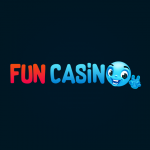 Go Wild Casino is one of the most trusted online Casinos at this moment.They are extremely popular because they handle their players with respect. Fast payouts and great bonuses are just a few reasons why this Casino is still on TOP since 2008 . Again no free spins and casino lies about the offer, I read many people have problems with this casino for bonus and withdrawal, but they look safe and i think i try, when you register, its clear the forms says you get 44 free spins but this is what they tell me. Ina: Hello and welcome to Live Chat Support ! Me: do i get free spins? Ina: Can you please let me know more about the free spins you are looking for? Ina: I am referring to a stunning 100% bonus for your first investment of 20 or more, which can go up to 200! Me: so there isnt the 44 free spins? I need to deposit? Hi maryreborn, we contacted Go Wild’s Casino Support and they told us that players from your country are not eligible to receive no deposit free spins.